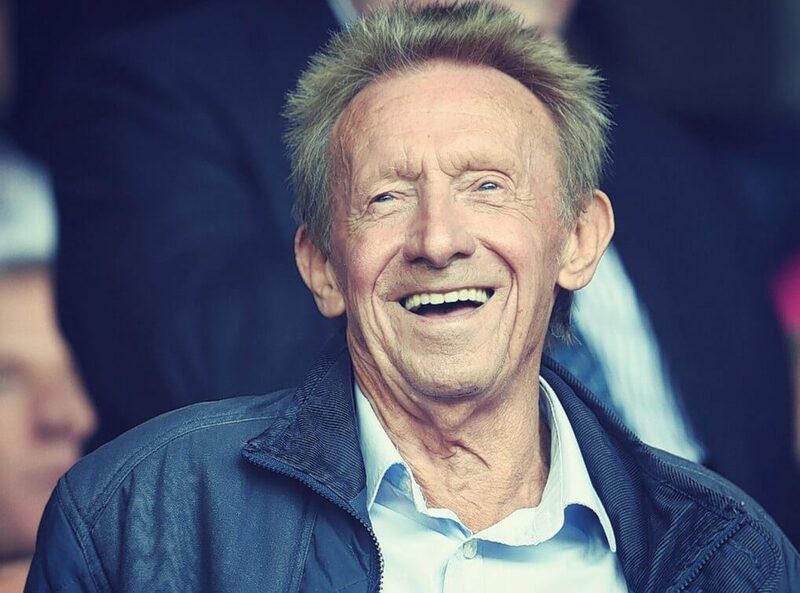 The King’ is how they still refer to Denis Law thanks to his contributions to Manchester United over the years, and as such he is still a hugely popular guest speaker, host and sporting personality. He played the bulk of his distinguished club career for Utd, in two spells, as well as City, and it was a career that is the stuff of legend. With lightning reflexes, quick feet, and head, he had the ability to convert the smallest of chances into a goal. Denis Law was one of the most exciting players in Europe in the 1960s. Born in Aberdeen, Denis played his first game in the Soccer League aged just 16, becoming the youngest ever debutant for Bill Shankly’s Huddersfield Town. After that he went on to be one of the most prolific of post-war goal-getters. He scored more than 300 goals from nearly 600 games, including a record 41 FA Cup goals and 28 in European competitions that also saw him record a ‘British Best’ of five hat-tricks. When it came to showmanship Denis Law wrote the book and enjoyed his greatest success, in terms of trophies, during his 11 years at Old Trafford. Of course, Denis also played 55 games for Scotland and scored 30 goals in that time. Should you be looking for someone with a real insight into top class Soccer, playing for Manchester United and at international level, Denis Law is a popular choice who lights up any event or function he appears at.